The world of commerce is changing rapidly - and the Digital Transformation theatre at eCommerce Show North, sponsored by Magento, will help you to keep up. The world leading eCommerce platform - for both B2C and B2B - knows all about the challenges faced by online businesses today. As they say themselves, "Are You Ready For Change?" All delivered by industry experts in Magento and Digital Transformation. Yesterday we revealed how the likes of Google, Kellogg's, Canon, Microsoft, Rakuten and MBNA will all be represented in the Keynote Theatre. 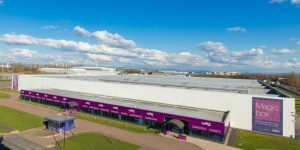 And there will be dozens of additional talks and seminars from key figures within the sector, covering the complete eCommerce spectrum.